Homemade Kahlua is a tasty coffee-flavored liqueur that you can easily make yourself using coffee, sugar, vanilla and vodka. There are many variations using flavored coffees and syrups, different sugars (white sugar, brown sugar, Karo syrup) and also different types of liquor such as vodka, brandy or 100 proof types. Although I've only been making my own liqueurs for a few years, I've made it a priority to find and explore the best homemade liqueur recipes. If you're like me, once you find out what great gifts homemade liqueurs make, there will be no stopping you! 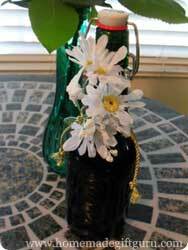 This page includes tips for choosing ingredients on a budget, presentation ideas (including bottles to use and gift tag ideas) and of course, a great easy homemade Kahlua recipe. Vodka. Vodka has very little taste (other than the alcohol) which makes it a good choice for creating homemade liqueurs. I make gifts on a budget, so I use a pretty cheap vodka, and I haven't noticed it being a problem. As you let your homemade Kahlua age, it will get smoother and deeper in flavor (a couple weeks or better yet months!). Vanilla. I have used both pure vanilla extract and imitation vanilla. I have to say, I can tell the difference, but the imitation is not too bad, so use whichever you can afford. I choose pure vanilla extract whenever I can. 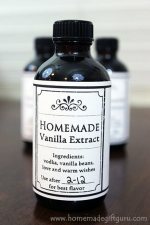 I personally spend less on pure vanilla extract because I make my own vanilla... see how here! If you can afford it, a vanilla bean can be added to the bottle after you've made your Kahlua. This is a fun and elegant way to add a deeper vanilla flavor that will be enhanced as the Kahlua ages. Look for bulk vanilla beans in stores around the holiday season and online all year long. I have gotten some great deals on amazing moist sticky vanilla beans from Amazon. 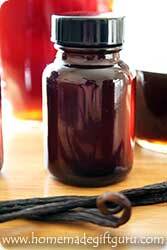 I've recently learned that for extracts and liqueurs, you can use a less expensive vanilla bean called grade B. Though not as pretty and sometimes not as sticky when you get them, they are perfect for extracts and liqueurs... I've read that they are actually preferable!... here are a few deals on Grade B vanilla beans. Coffee. Many people say to use the absolute best. I use a medium quality instant coffee and I find that sufficient. However, if you're out shopping and you have to settle, don't fret. The simmer and the sugar makes a great deep coffee taste out of even so-so instant coffee. I'm happy to report, my cheapish instant coffee gives me great results. Note: I don't recommend using any instant coffee that has anything added, such as milk powder or sugar (milk powder creates a foggy look and extra sugar will alter the recipe). Packaging Homemade Kahlua is Half the Fun! Package Homemade Kahlua in a Pretty Bottle. Dark green or brown glass works great because it protects the liqueur from direct sun light, which can effect freshness and flavor. You can also use clear glass wrapped in a cloth or stored in a dark place. You might really like my personal favorite - a Grolsch Premium Lager (beer bottle) with a tight-fitting flip top lid, shown right. This beer is a couple dollars at our corner store and seems to be widely available. It's a very sturdy bottle (mine have always survived shipping) and a great size for giving. Some of my recipients return the empty bottles to me (I never even had to ask!) in the hopes that I will refill them again someday soon. Clear glass can be another great option because there are so many possibilities (for example, sauce or syrup bottles). If you use clear glass, wrap it up in a tea towel or cloth to keep out the light and secure with a bow (as shown bottom left). Read our Tips for Finding/Reusing Great Glass Containers for more about this. 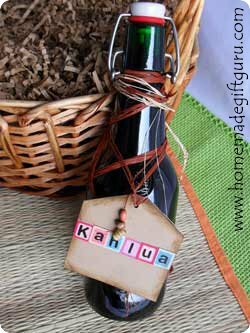 This Homemade Kahlua is packaged in a beautiful bottle (that started out life as a bottle of marinade) and wrapped in a tea towel to keep out direct light and for a nice presentation. 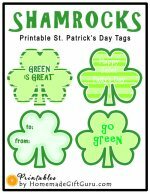 To Share Recipes: The tag doubles as a recipe book so the recipient will know exactly what to do with their homemade liqueur. You could add drink recipes or even dessert recipes for a unique twist. 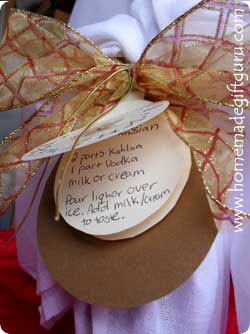 Recipe and Gift Tags. I've learned that homemade Kahlua is best given with a recipe or even a homemade recipe book (above right). Kahlua is especially delicious in mixed drinks and even in some desserts. Some people aren't sure what to do with Kahlua so a recipe or two will be most welcomed. If you'd like, here's a few recipes for using Kahlua. If you'd like a few more Kahlua recipes for cocktails and desserts, I sourced some good collections via Mix that Drink and Delish. Ok, here it is in all it's simplicity... The following homemade Kahlua recipe tastes delicious. 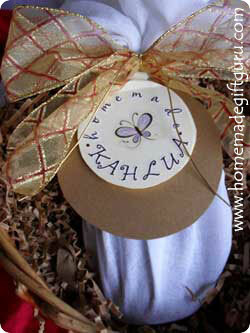 As a bonus, it's very simple to make and much easier on the budget than store bought! This makes a sweet and delicious homemade version of Kahlua that makes fantastic White Russians and very tasty Iced Kahlua Coffee drinks. This recipe creates an approximate 20 proof alcoholic beverage with a light syrupy texture. Important Step... An important step is to simmer the water/sugar/coffee mixture for at least 1-2 hours. Some recipes skip the simmer but there are two valuable benefits. First, it alters and deepens the flavor of the sugar and coffee as the sugar actually caramelizes. Even so-so instant coffee is altered into a flavor to be appreciated (and I normally try to avoid instant coffee). Second, as the mixture simmers (losing some of the water and caramelizing) you begin to get a thin syrup which is great for the overall consistency of the drink. It's really easy to make different flavored Kahlua-like liqueurs. Most popular is Mocha flavored, French Vanilla and Hazelnut. Both subtle and not-so-subtle flavors can be achieved by using flavored coffee, different extracts or by substituting one teaspoon to one tablespoon of the sugar and water with flavored coffee syrup (a little does go a long way). I do not, however, recommend using flavored coffee that has added milk powder (such as instant espresso), because milk powder gives your final liqueur a foggy look that we found undesirable. Coffee plus Caramel = Yum! What goes great with homemade Kahlua coffee liqueur? Try making Coffee Almond Caramel Popcorn... present the two in a basket with coffee and a mug for coffee lovers. 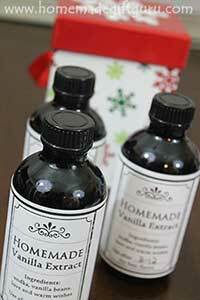 Homemade vanilla extract made from scrumptious sticky vanilla beans is simply divine. It will make a wonderful addition to your holiday season, warming the hearts and palettes of all sorts of people on your gift list. ...If you enjoyed this homemade Kahlua page, you may also like to learn how to create homemade vanilla bean extract... complete with free printable Homemade Vanilla Extract gift tags! Did you learn something new? Find the inspiration you were looking for? 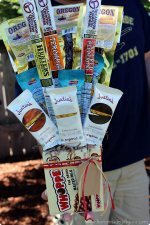 You can pay it forward... you can inspire others by sharing pictures of your Kahlua gifts. Click here to share your photo! I just LOVE her enthusiasm! Make Coffee Almond Caramel Popcorn... Yum!